Just a quick update today – annual USPS postage rate increases took effect yesterday so don’t forget to make sure you have the new valid rates. $0.46 for 1 oz, $0.66 for 2 oz and $0.86 for 3 oz letters. Priority mail rates have also gone up to $5.60 for flat rate envelopes $19.95 for express flat rate envelopes. Your forever stamps are still valid without additional postage needed! I’m a big fan of hand delivered invitations. 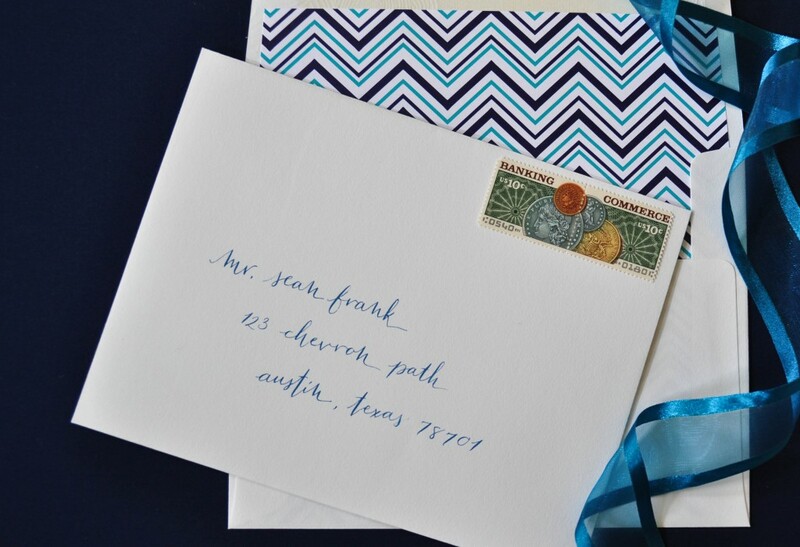 This summer I worked with Fluent Dallas addressing some very special invitations to their concierge services. Each one contained a personal access code – fancy. 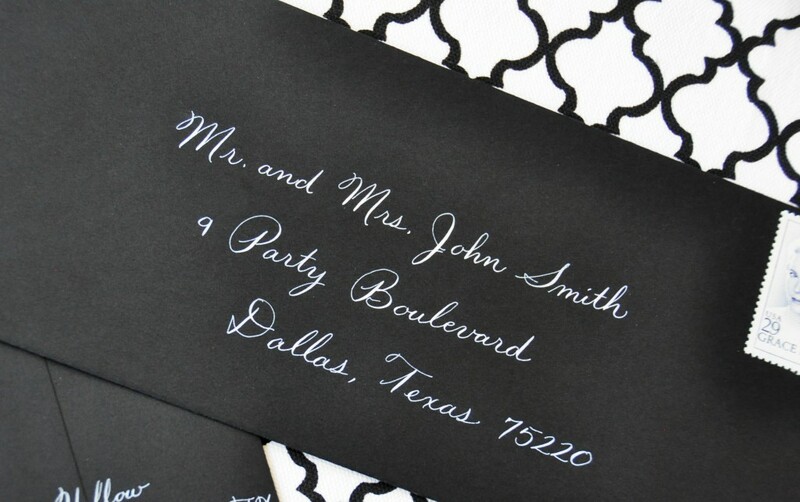 We kept the lettering classic in black ink and modern with the Kegan style. Today I am loving the gold and black for a lovely anniversary party. 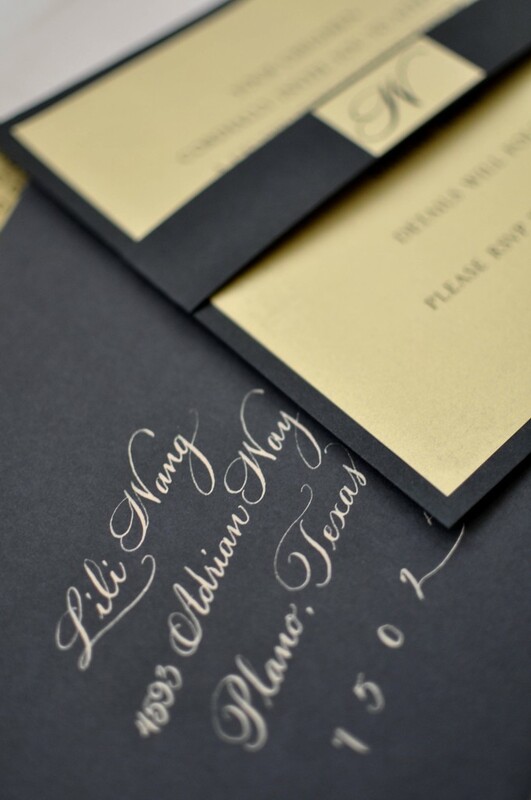 The square invitation (and monogrammed belly band) in black and gold works perfectly with the gold ink on black envelope. 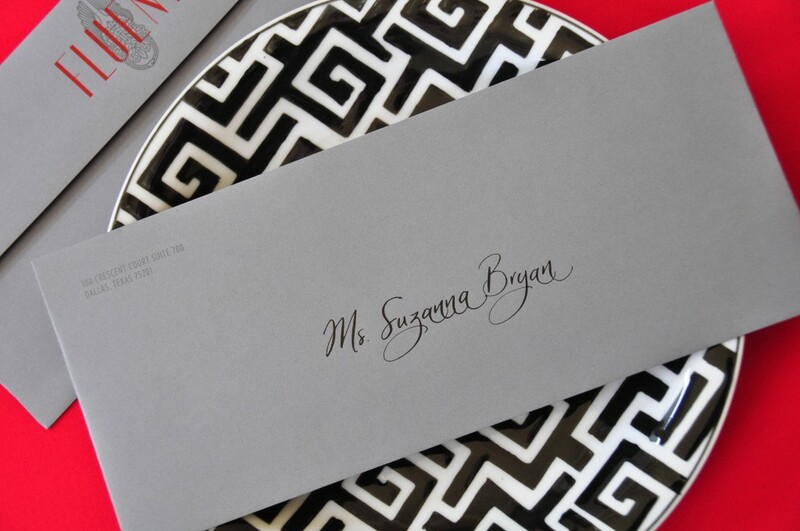 I love being a Bella Figura calligrapher. They are wonderful to work with, their bamboo papers are heaven to write on and the designs have such a great range of aesthetics. Also, because of them – I get to work with the coolest clients. 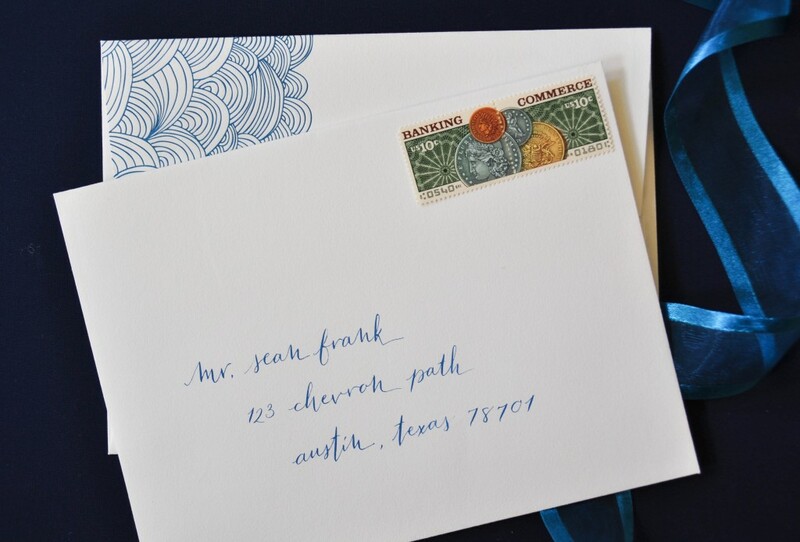 This summer, I was asked to address these envelopes for an Austin, Texas bride and groom. The patterns and colors are wonderful and made me want to run away to the beach. Matching ink color & Mitty lettering. Last summer a little end of summer bash was thrown and I had the joy of addressing the envelopes. Since this was not a wedding, and the envelopes were black, we decided to do something a bit more casual while still pretty. I did a play on the old teaching Palmer style and was quite happy with the look.